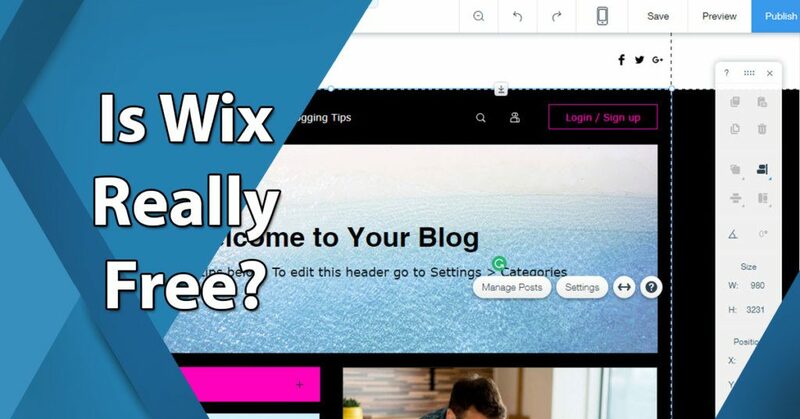 How Much Does Wix Cost: Is It Really Free? The starting Wix plan is free forever but comes with ads. For ad-free plans you can upgrade to paid subscription starting at $8.50 per month. The premium plans offer advanced tools such as Site Booster, email campaigns, custom favicons and form builder. Wix is a leading cloud-based website builder that allows average, non-technical people to easily design and create stunning websites for various purposes. It is easy to use, but this doesn’t mean Wix sites are dull and with very limited features and possibilities. In fact, Wix’s simple drag-and-drop platform lets users create impressive, highly interactive, professional-looking websites within just a few hours or so, without much preparation or any training at all. And having a compelling website is critical to growing your business. An Econsultancy study pointed out that “95% of users indicated that a positive user experience is the most important factor when they visit a website.” Similarly, a Forrester study posited that for every dollar you invest in UX you get an ROI of $10 to $100. If you need further insights about website builders, you can read more about them here. Wix allows you to build a visually appealing website, but underlining it is your project strategy on how to accomplish it, pointed here with clarity by Pascal Raabe. The likes of Wix makes it now feasible for small businesses to partake of good UX benefits. Yet perhaps the best thing about many website builders today is that they’re totally free, Wix, for instance. If you’d like to try out this solution on your own you can easily sign up for Wix free trial here. Indeed, virtually anyone can use Wix to make awesome, interactive online pages without spending a single penny. There are, of course, those who want to go beyond the already exceptional offerings of the free service and get the premium, paid Wix features. In this guide you’ll get to take a close look at Wix free and paid features, as well as the myriad payment options. You’ll also get an overview of business-specific Wix apps that may come handy to your product or service. Wix uses drag-and-drop, widgets and simple embeds that don’t require coding knowledge. Wix offers small businesses some of the compelling website-building options. As an online website builder, there’s no need to download and install any program or file. You must only have a web browser like Chrome or Firefox and an internet connection, hence giving you the flexibility of working from anywhere and using any device. Being a drag-and-drop website builder, you can directly choose and place pictures, videos, text, and other components as you create your website. With Wix, what you see is what you’ll get, so whatever way or style you design or include in your website, it will look exactly as it is, before and after publishing it. Users also have ready access to Wix’s 500 designer templates—created for almost any conceivable purpose or function—thereby giving the needed competitive edge especially for the small business owner who needs to create a positive impression to target customers. Along with its automated web development technology, Wix offers a wide array of great features. It provides users with extensive design flexibility, top-notch SEO efficiency, automatic mobile optimization, access to numerous powerful third-party apps, sophisticated design elements, unlimited fonts, as well as media galleries and scroll effects. You can edit images right inside the Wix interface. As mentioned above, using Wix costs nothing at all. Users can easily build their websites using drag-and-drop technology, stunning design templates, and other great features. However, the free version of Wix inevitably has certain limitations to distinguish the premium plans. Has ads on every page, which is rather distracting especially for business clients. There are indeed Wix users that want to avail of website features beyond those offered in the free account so there are different premium Wix plans. Paid accounts are provided a host of premium add-on features in their websites. Wix offers five different paid plans, which are rather low-priced but do provide superior value that brings an upscale feel to site users. You can try out all Key paid features at no cost with a great free trial plan offered by Wix. You can easily sign up for Wix free trial here. The most obvious benefit of paid plans is the removal of ads. There are three payment models for Wix premium plans. One is by monthly subscription where users are charged automatically every month. Users can also choose a yearly subscription, which provides substantial savings. Premium users who want to be charged just once for an entire two year period can avail of the two-year subscription, which offers the highest possible savings. Subscribers are informed that all premium plans are automatically renewed to allow continuous service and avoid any downtime. For premium plan users who don’t want this option, they can turn it off before the renewal date comes. Likewise, when a user decides to discontinue a plan can avail of the 14-day refund period, a money-back guarantee feature where Wix reimburses the cost of the plan. Premium subscribers also have the freedom to upgrade plans, with the existing funds to be credited in the new plan. Whenever a subscriber is about to exceed his or her current plan, Wix always inform the subscriber in advance. Its name comes from its key feature—it allows users to “connect” their own “domain” names with their Wix website. Compared to the 500MB bandwidth of the free plan, Connect Domain subscribers can enjoy a faster 1GB bandwidth. However, it’s the same as the free plan in terms of storage (still at 500MB) and presence of Wix ads, which is not ideal for business users. Ideal for personal use, this plan comes with a free domain name for the first year (additional cost for succeeding years). Ads are removed starting with this plan onward to higher plans. Compared to the basic premium, Combo’s bandwidth is faster at 2G and storage is larger at 3G. It also allows users to connect their domain names, but does not offer an online store option. Designed especially for entrepreneurs and freelancers, it offers unlimited bandwidth (where it got its name), 10GB storage, and a customized favicon. Subscribers can also opt to have the other premium apps, namely, form builder and site booster. This is designed for businesses or individual entrepreneurs planning to open online stores. What’s great about Wix’s online store platform is that you can first test it in all the plans, including the free Wix, giving subscribers the freedom and ample time to try this premium feature before deciding to get it or not. The plan is relatively lower compared to other online store platforms. The most expensive plan is the Wix VIP. It has the same features as the eCommerce but subscribers get ten newsletter campaigns and a professional website review. Aside from subscriptions to premium plans, Wix offers add-ons that enhance the web experience. You are charged separately for these apps, so it’s important to keep tab of the total cost (pricing plan and add-on fees). Wix users can also subscribe to domain names and email accounts. The domain name offerings bundled in the paid plans are good for the first year only, and it is also the same for email accounts. This is not a welcome deal especially for businesses that extensively use emails like in marketing and logistics. As a workaround, subscribers need to find a viable third party for email hosting service. You can also have email accounts bundled when you buy a domain name. Wix also offers innovative apps that cater directly to certain business types. For instance, there’s Wix Hotels, designed to make complicated tasks like bookings and reservations easier to handle and more efficient to manage.  This app can be added to any Wix website. It also includes other useful functions like multiple-language support, integration with some TripAdvisor services, and running Google ad campaigns. Hotels and resorts get their dedicated Wix platform. For independent music artists and bands looking for ways to conveniently manage, market and sell their music online, there’s Wix Music platform. With this app, indie artists are given a set of tools necessary in making a name in today’s competitive and technology-intensive music industry. Already optimized for mobile access, WixMusic comprises a user-friendly management system, monitoring tools, music-themed templates, and a music player. Wix Music features industry-specific tools like custom players and playlists. Finally, Wix offers a Restaurant app that resto owners and foodies can add to their Wix site that can help transform an ordinary food website into a deliciously-engaging one. It has several helpful features such as visual menus, online reservation service, and a delivery and pickup tool. For a more efficient social media presence, Wix Restaurant has Instagram feed and Yelp Reviews and Ratings. Wix is hands down among the top free online website builder in the market today, packed with numerous useful features and is very easy to use that even non-techies can create their own website in a flash. If you plan to upgrade to a premium plan but want to be very sure of your investment, it’s safe to try one first because all paid services have a two-week money-back guarantee—with no questions asked whatsoever, in case you change your mind or business direction. In today’s market, the Wix paid plans are not really that expensive. And with its many subscriber-friendly payment schemes, Wix is indeed worth a try. If you’d like to see Wix in action and try out all the key features on your own then the best course of action is to sign up for Wix free trial here.